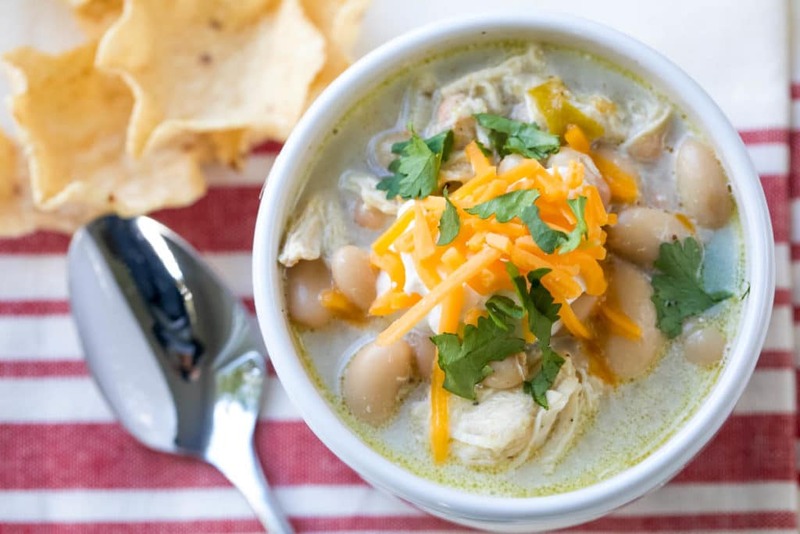 This Easy White Chicken Chili is the perfect slow cooker weeknight meal! Creamy with plenty of toppings, this soup recipe is the perfect way to end the day! With cooler weather finally making its way here, our menu calls for soup – lots and lots of soup! I don’t know about you, but I love a big pot of soup simmering all day on the stove or even better yet – the slow cooker! 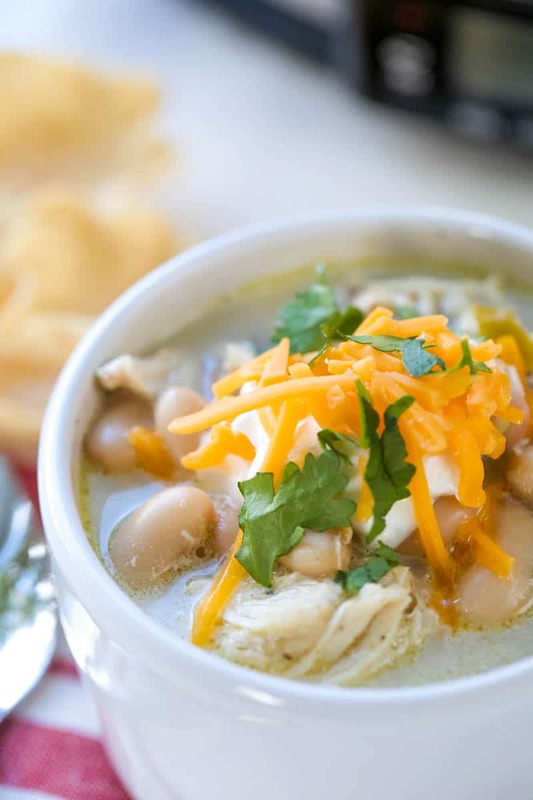 One of my favorite soups of all time is this Creamy White Chicken Chili Recipe that is super easy to make and packed full of flavor. It has to be right up there in popularity as my Taco Soup or Vegetable Soup Recipes in this family! 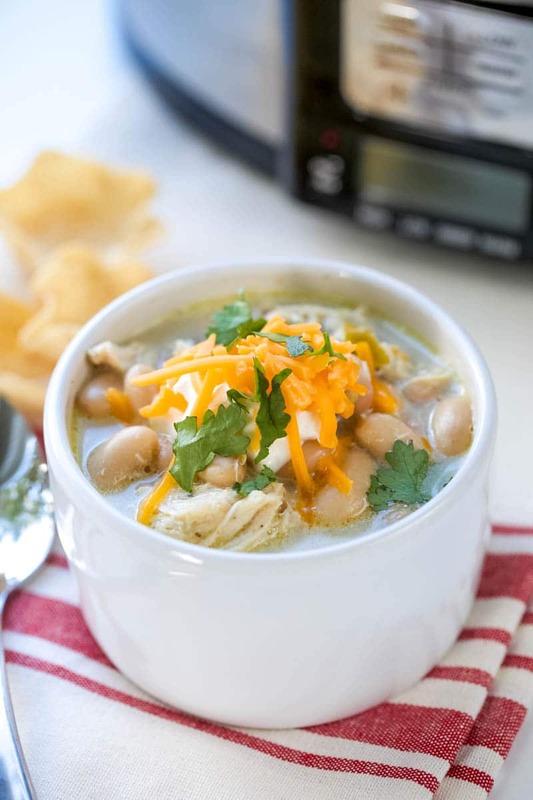 The version that I’m going to share today is made in the slow cooker, but could easily be made on the stovetop when you’re short on time and decide a big bowl of spicy, White Bean Chicken Chili Soup will hit the spot. 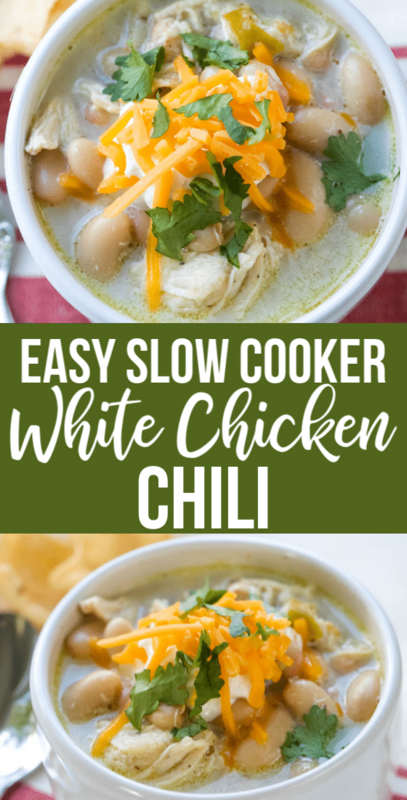 I am a huge Chili Soup fan but this Easy White Chicken Chili is like a whole new level of awesomeness. 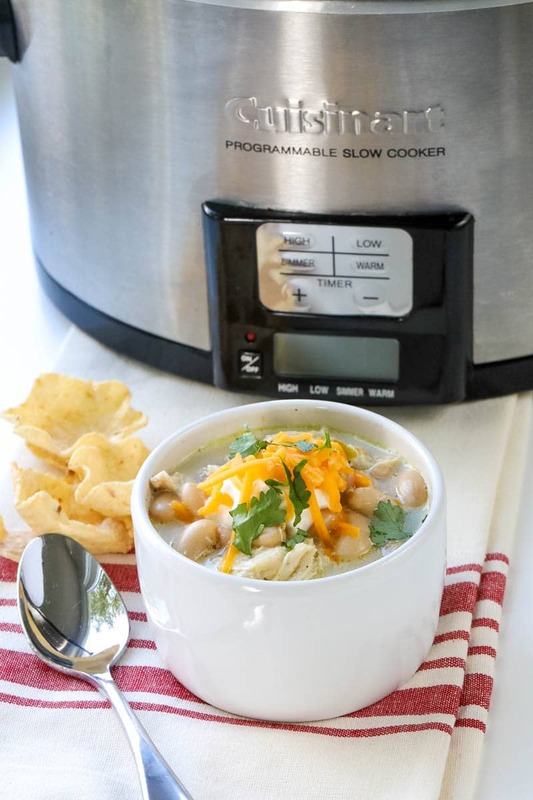 The spicy flavors in the soup mixed with the cool, creamy toppings of sour cream, cheese, and cilantro really make this crockpot soup recipe stand out! It’s easy! 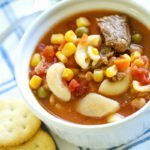 In my slow cooker soup version, you just add all of your ingredients into the slow cooker and turn on. It doesn’t get any easier than that! -Add chicken breast to crock pot and top with salt, cumin, pepper, and green chiles. -Cover with chicken broth – stir well. -Cook on high for 4 hours or low for 6 hours. -About 30 minutes before the end of cooking, shred the chicken well. I like to leave some bigger pieces, as well. -Next, add your beans and return lid for the remainder of the cooking time. -Turn off the slow cooker and remove lid; stir in sour cream until incorporated well. 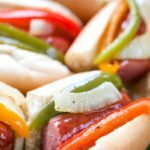 -Add to bowls and let everyone add their favorite toppings! What spices can you add to chicken chili? 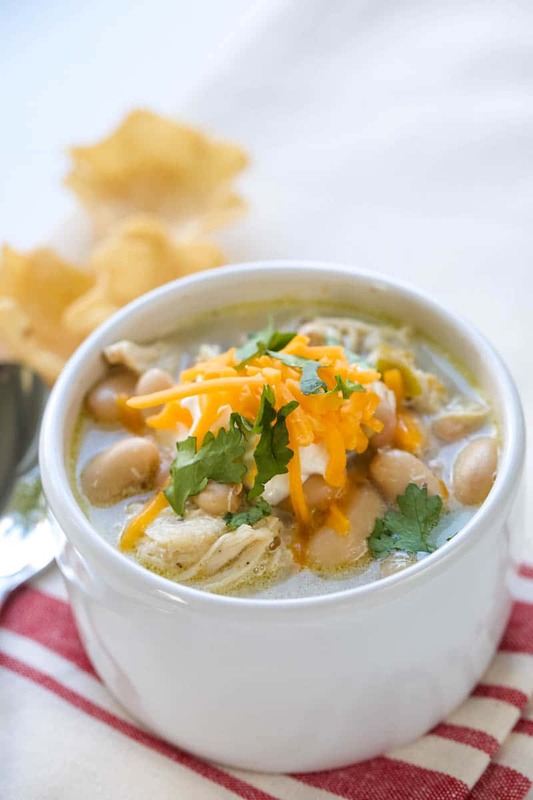 Traditionally, White Chicken Chili has Mexican spices added in. So you could go simple like me and add in salt, pepper, and cumin. OR you could use a taco seasoning packet right in. Here are a few of my favorite items to make this amazing soup recipe! Cuisinart Programmable Slow Cooker | This slow cooker never disappoints! I love the locking lid – especially when I have to take it somewhere in the car. No fears of it tipping over and pouring into the floor of your car! Chicken Shredder | Having tools to shred your chicken may seem like a luxury, but it’s actually really helpful for all kinds of meals! Soup Bowls | These soup bowls are the perfect size for all of your soup needs. Super cute, too! 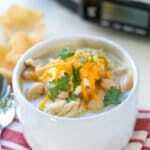 For a quick and easy weeknight meal, try this Creamy White Chicken Chili Recipe. 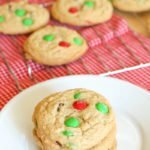 It will quickly become a family favorite!! For tips on using your slow cooker, try this post for the best tips and tricks! -Cover with chicken broth - stir well. For more Chicken Recipes, try these next! Our family loves chili, especially white chicken chili. This was so simple and loved setting and forgetting with the slow cooker. Love the convenience of the slow cooker. One of my favorite chilis!